Copas Traditional Turkeys has been awarded a 3 Gold Star rating at the Great Taste Awards for its Traditional White Turkeys. 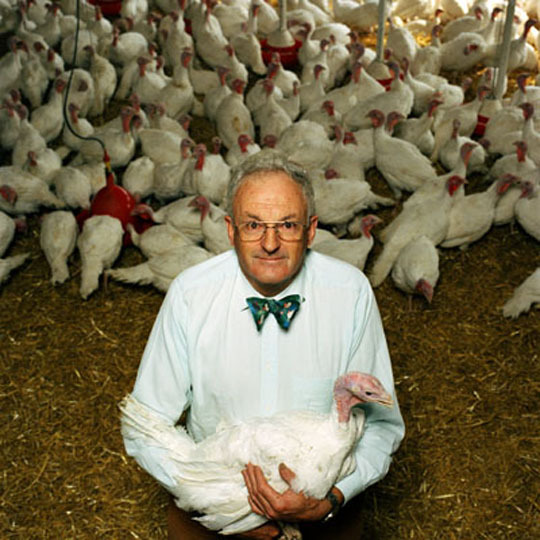 Tom Copas with his award-winning turkeys. The Great Taste Awards (GTAs), given by the The Guild of Fine Food, had 8807 entries this year. Only 123 products – including Copas Traditional Turkeys – received three Gold Star award status, and are now in the running for next month’s ‘Golden Fork’ Awards in London and the naming of the Great Taste Supreme Champion. The 8807 food and drink products were blind-tasted, tested and discussed during 45 days of intense judging. Judges during this year’s Great Taste included Masterchef winner and restaurateur Mat Follas, restaurant critic Charles Campion and food writers Lucas Hollweg and Xanthe Clay, as well as more than 300 food buyers from leading food halls, delicatessens and farm shops across the country.